We are very excited to introduce Myseum Tours, a series of interactive experiences you can carry in the palm of your hand as you walk around the city. The tours let you to experience previous events and exhibits through annotated locations on a map available directly on our website. And yes, the tours are built to be compatible on both mobile and tablet devices. In partnership with the Ontario Black History Society, we will be launching a tour focusing on the oft-overlooked if not ignored history of Black slavery in Toronto. At the end of the 18th century, John Graves Simcoe, first Lieutenant Governor of Upper Canada, introduced the Act Against Slavery, thereby banning the importation of slaves to the British Colony. But that did not prevent his close associates—many of them wealthy landowners—from keeping slaves. The Ontario Black History Society paints a rather intimate portrait of the lives of slaves who once lived in Toronto under the supervision of families who would eventually bear the names of the city’s streets and neighbourhoods. The tour also looks at how a society of slavery was maintained through newspapers and and specific legal technicalities. 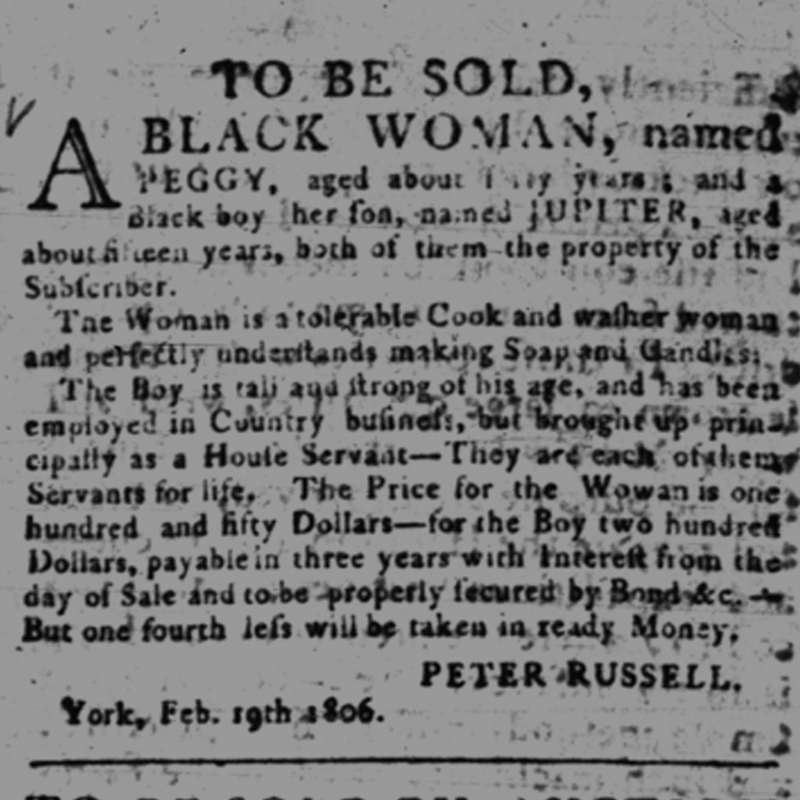 Slave advertisements provide documented evidence of an active slave trade in Toronto during the late 18th century and early 19th century. Curated by Natasha Henry, the tour shatters preconceived notions about the role Upper Canada—then a British protectorate—played in the slave trade. That being said, the 1833 ban on the slave trade in the British Empire turned Toronto into an endpoint for the Underground Railroad from the American South through Southwestern Ontario. On a lighter note, our second online tour will take you along Toronto’s picturesque waterfront as former Mayor and Member of Parliament (MP) David Crombie guides you through Toronto’s key historical landmarks from Queens Quay to the Humber River. 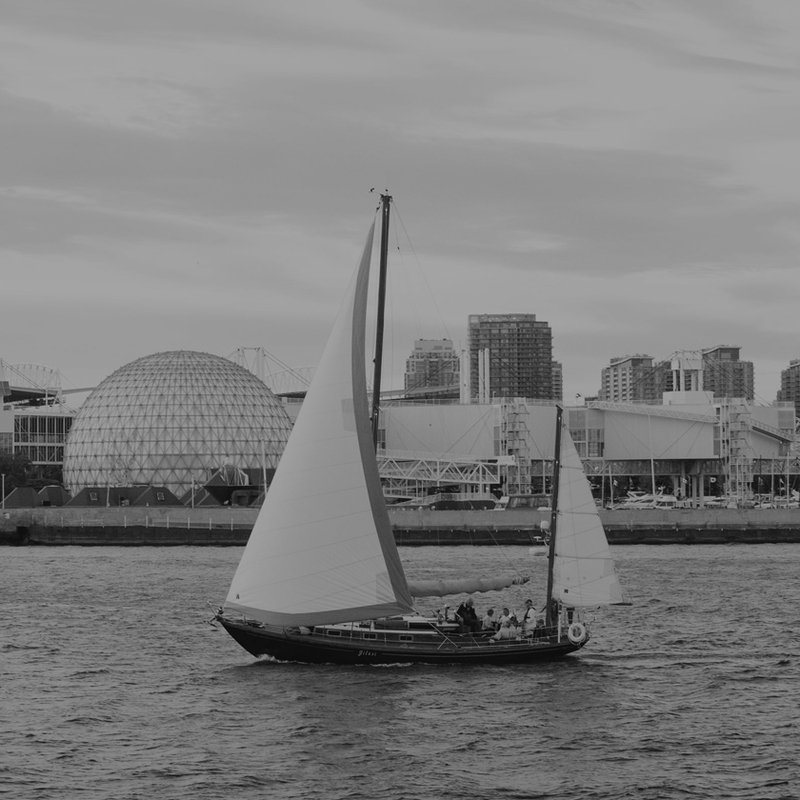 Based on recordings captured during Myseum’s August boat tour, the tour includes over 20 audio excerpts that explore everything from the early indigenous trading routes along Toronto’s waterways to swimmer Marilyn Bell’s historic crossing of Lake Ontario in 1954. Crombie played an instrumental role in the redevelopment of the Toronto Waterfront following Toronto’s failed 2008 Summer Olympic bid. While the Waterfront is today dotted with condominiums and dozens of projects in development, Crombie unpacks the area’s rich history, from the early Indigenous trading routes along the Humber River to the construction of the Gardiner Expressway. Our tour system is convenient and features audio embedded into the page itself, meaning that you can enjoy David Crombie’s fascinating commentary as you walk along the tour route. This accessibility is vital to our mandate of developing a museum without walls that can be experienced all around the city. 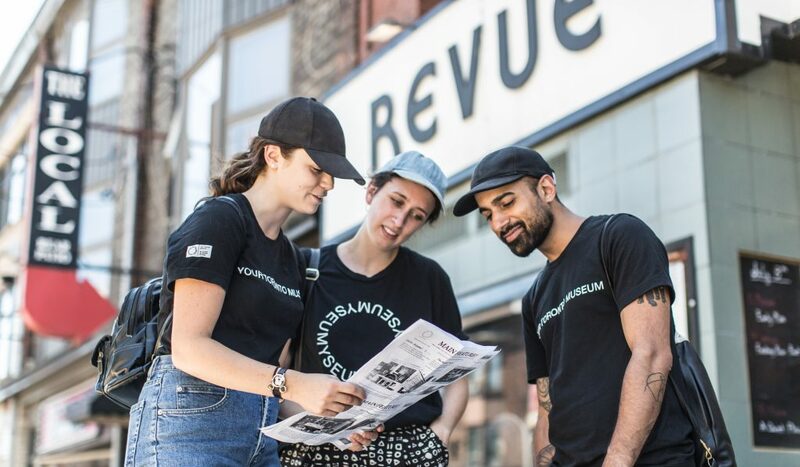 We are also welcoming suggestions for future tours as we continue to develop the platform and explore novel ways of bringing the museological experience to the streets of Toronto. Finally, Myseum will be presenting a series of Historical Sliders that revisit some of Toronto’s most important movie theatres from the golden age of cinema. 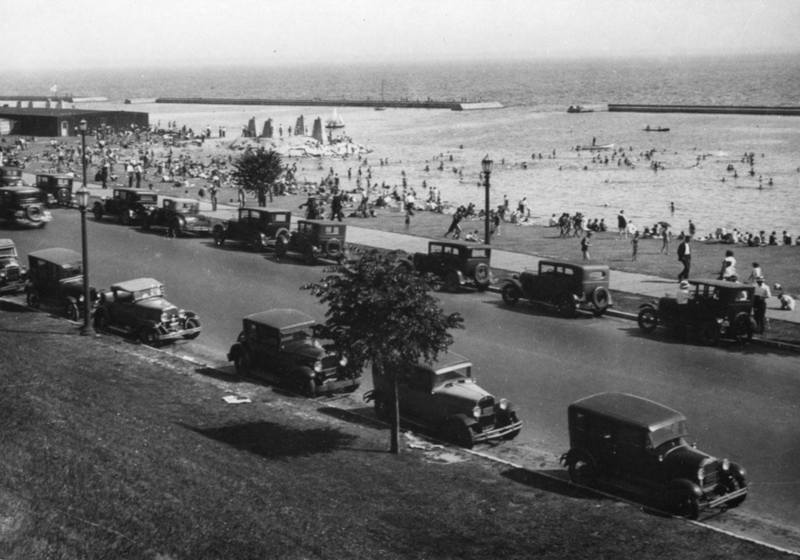 Before most houses had air conditioning and a TV, Torontonians naturally flocked to one of the many neighbourhood movie theatres around the city. 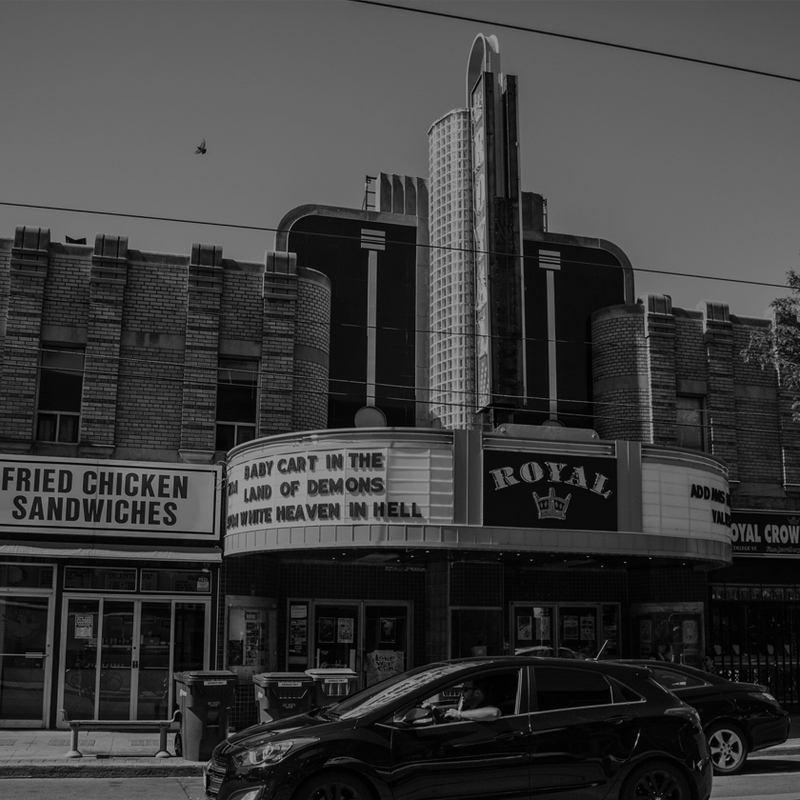 While some are now lost to redevelopment and disuse, many original movie theatres still remain, as proven by user-submitted entries given to Myseum during the ‘Main Feature!’ Tour held this summer in partnership with Keep6. The Map lets you view present-day overlays of the very spot where the movie theatres were photographed as far back at the 1920s. By using a plugin juxtapose.js, you can now compare images by overlaying the present-day version above the archived photo. Click on the link below the instructional video to get started. The historical sliders are a fun way to explore changes in the urban environment. Simply drag the bar across the screen to view the accompanying photo.